Zinc builds new tech companies that solve the developed world’s toughest social issues. Learning from the successful innovation systems in computer and life sciences, Zinc combines insights from social sciences with top entrepreneurial talent and venture capital to build new, scalable, mission-led businesses. The Zinc Programme brings together 50 bright minds for 9 months to find their co-founders and build new commercial businesses from scratch. Each programme has a single mission, to solve a social problem which affects at least 100m people. Each of our 9-month company-builder programmes is mission-led because we believe in the power of missions to mobilise the best talent, ideas and capital, to achieve scale of impact. 3. there must be lots of unexploited opportunities to disrupt, extend and improve existing services through new technologies and insights from research. Saul is a partner at LocalGlobe, a UK-based venture capital firm. His investment career includes being a partner at Index Ventures and he specialises in early-stage tech companies. Saul was co-founder of Seedcamp, the first tech accelerator in Europe.He has been closely involved in the formation of many successful businesses, including Lovefilm, MOO and Kano. Paul is a former partner at KPMG and the global head of public services and government. In his career, he has been Head of the Number 10 Policy Unit, as well as working in the media, education, transport and urban regeneration sectors. Paul is a Visiting Professor at the London School of Economics & Political Science and was a Director of Bethnal Green Ventures and a Non-Executive Director of the Cabinet Office. Ella is a former Strategy Director at IPG Mediabrands, one of the world’s largest media agencies, working with global leading brands. She is the Co-Founder of NewCo UK, which connects the most successful large corporates with the most innovative start-ups in the UK. Ella started her career as an engineer in Tel Aviv’s hi tech aerospace industry, before becoming a consultant to tech firms. Rachel is an Associate Consultant for UCL’s Centre for Behaviour Change and a former Senior Behaviour Change Research Advisor at Bupa. Rachel has a PhD in Psychology, and has worked across a range of settings embedding social science research in tech-enabled businesses. Julia is the Pro Director for Research at the LSE, and from 2016-17 served as LSE’s Interim Director. She is on the board of UK Research and Innovation. At the LSE she is a member of the Law Department, with a primary research interest in regulation of Financial Services and Biotechnology. She holds a PhD from Oxford and was elected a Fellow of the British Academy in 2015. 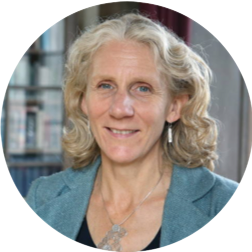 She chairs the ASPECT Consortium of LSE, Oxford, Manchester, Sheffield, Sussex universities which is working with Zinc to drive entrepreneurship and commercialisation in the social sciences. Julia joined Zinc at the very beginning. Since then, she has led the delivery of two company builder programmes. Her role builds on her previous experience in setting-up and scaling start-ups in market research and building design. In her earlier career, Julia worked in TV and international development. She has an MSc from SOAS and a passion for high-impact social innovation. and social justice, migration and integration studies, and sustainable development.